As part of my preparation for teaching a class on travel writing this May, I've been reading Phil Cousineau's The Art of Pilgrimage. Some of this very fine book deflects into popular religious writing—I figured it would, given the traditional associations with "pilgrimage", so I ventured into it with full knowledge that those parts of the book would not be too much in my wheelhouse—but I'm still seeing strong questions raised by a book that is more supple, more searching than I had first assumed. It's making me think about pilgrimages of my own, of qualities that turn sight-seeing into pilgrimage, destination into shrine. The first pilgrimage I took, or at least the first I recognized as pilgrimage, was in Ireland in the late 90s. It took a conventional form: we took a bus up to Sligo from Galway, the idea being to touch the hem of Yeats' garment and to see the country of his poems. I would have preferred train to Bus Eireann. Everyone who knows me knows my love of rails. But the Intercity Line—then and now, as I understand—sent the traveler way east into central Ireland to connect from Galway, and so we took the bus, on roads that were still winding and through a cloudy West of Ireland terrain that reminded me how I loved the countryside there, but how it always felt as though you took in the landscape at a gloomy slant, at wintry dusk even though our trip was in June. We arrived in Sligo at an equally somber moment. Our June was the June of 1997, and the Troubles had flared up again following the shooting of two members of the Royal Ulster Constabulary. The political climate was as somber as the weather, and we were dropped off in a hushed, even gloomy heart of the town, where we made our way to the tourist center and stood in line for one of the standard tours until a Mrs. Furey came up to us and offered her services as chauffeur and guide. Needless to say, it's a good rule of thumb to avoid offers you meet in these circumstances. I accepted, though, relying on what I'd admit was a degree of sexism (yes, women would be capable of a good old-fashioned kidnapping or drygulch, but let's face it: they are much less likely to do so than men), but also on my seasoned intuition when it came to character. Mrs. Furey was warm, humorous, but altogether businesslike: we would pay for the trip, but she would deliver our money's worth. Also, wasn't Michael Furey the young man from the west of Ireland who died for the love of Greta Conroy in James Joyce's magnificent story, "The Dead"? The one that Gabriel Conroy dreamed his wife was dreaming of? A young man obscured in the fiction of memory, in the memory of memory, and then to make obscurity complete, only a fictional character to begin with? And was Michael Furey Mrs. Furey's oblique ancestor, recalled vaguely by a latter-day writer on a quest preoccupied with visiting a dead poet's grave in Sligo? The temptation deepened enough to give in to it, to surrender the facts and the good sense, and we were off in Mrs. Furey's van through winding, obscure roads, to Innisfree and Lissadell and the grave at Ben Bulben. was barely furnished, the floors checkerboarded with dust framed by the carpets' stripped-down warp and weft. Mrs. Furey's story about Yeats and the male friends of the Gore-Booth family sitting in the kitchen and throwing knives at rats seemed appropriate in the surroundings. Have no enemy but time. 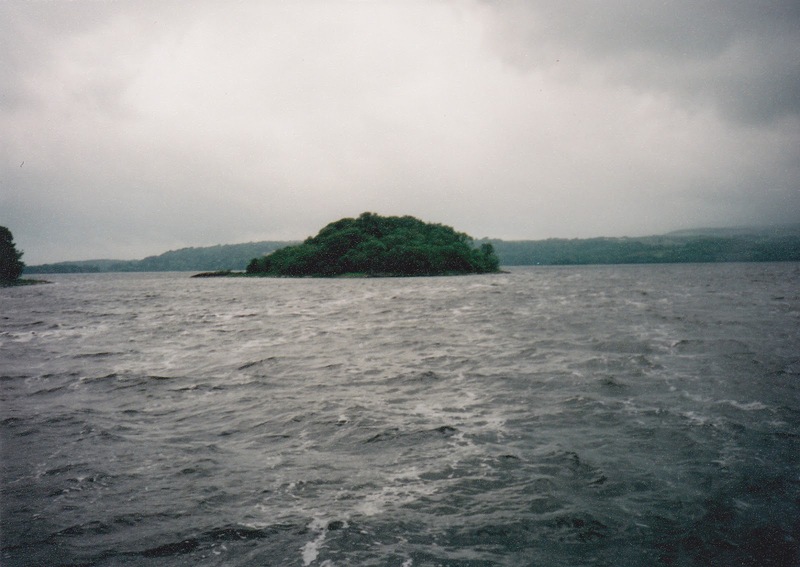 On from there we went, Mrs. Furey and Rhonda and I, to the banks of Lough Gill, staring out across the waters at the famous Isle of Innisfree, a shoulder of green amid gray waters. At that distance the "bee-loud glades" and the perpetual, beckoning call of the Isle were inaudible. The only wonder that I felt was the one I had prepared myself for—the resonance of the place, having decided its meaning before I arrived. All I remember of the island was there before I saw it. I had done my share of traveling, but I was new to pilgrimage. 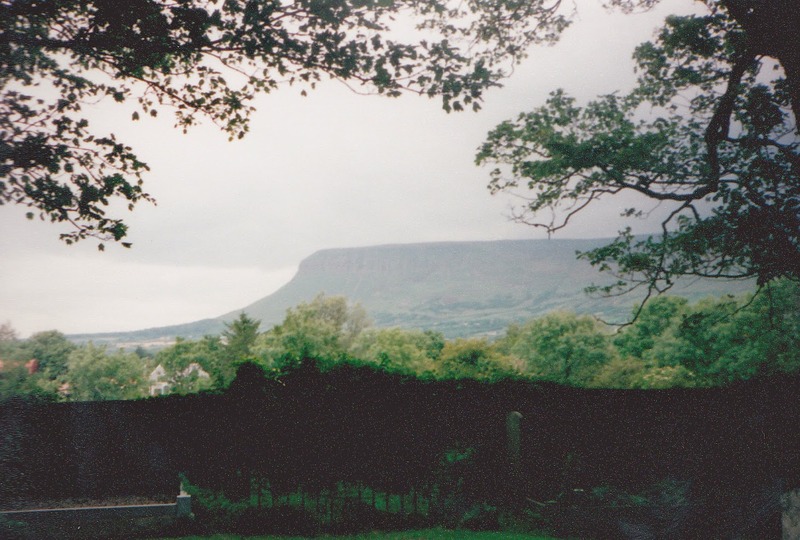 When we arrived at Drumcliff Churchyard, under the distant hulking shadow of Ben Bulben, it was the moment of epiphany. It was my version of Canterbury, Bodh Gaya, the Kaaba. Because I've lived my days in more secular poetry, and though Yeats was hardly a saint, the poems were to me the relics of sainthood. But of course, the grave was the shrine. Limestone, stark in its simplicity, inscribed with the famous epitaph he wrote for himself (about casting "a cold eye/on life, on death"—I knew it by heart in my 20s, still recalled from memory all of the poems I've used in this piece, an indication that I've never quite left the faith). But no epiphany, no cemetery revelation. A reverent hush, a sense of homage, but no different from that by any graveside. It could have been anyone buried there. And the funny thing is that, indeed, it could have been anyone. 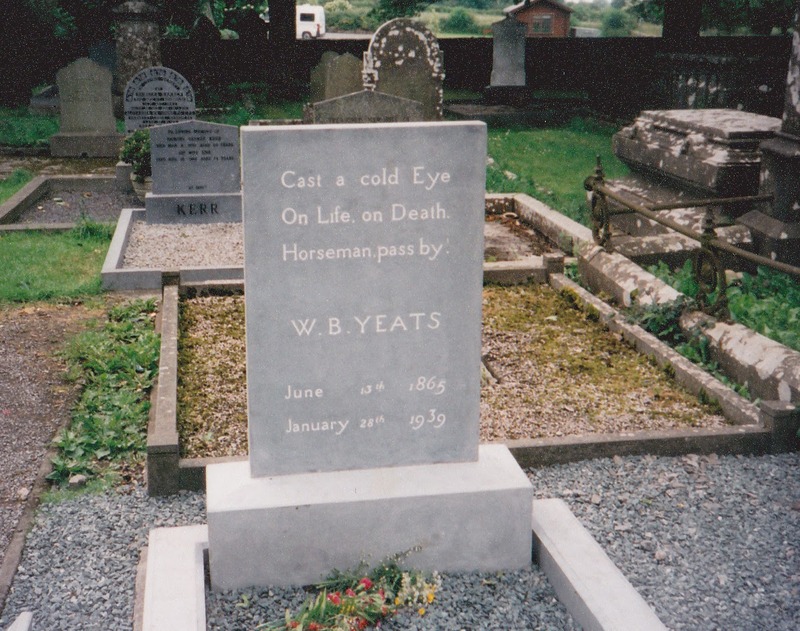 A decade later I learned that it is probable that Yeats is not buried in Drumcliff Churchyard after all. Yeats died in France in early 1939, his body buried there, intended for transport back to Ireland when, according to the poet, the newspapers would have forgotten about him and the final internment could happen with a minimum of fuss. But 1939 marked the outbreak of the war. The body in the French grave was ostensibly moved to Drumcliff in 1948, but in the intervening years, confusion has risen, Yeats not alone in being "transplanted" after the conflict. In short, though the body in the Sligo grave might be Yeats', it is far more likely, people think now, that some unknown Frenchman awaits eternity on a high rocky spot in Ireland.